Survey responses will be a significant guide in decisions on cruise scheduling. And who knows? Your response may just be enough to tip the balance in favour of your preferred cruise/s. YOUR CHANCE TO WIN A FREE CRUISE up to AU$2500 value – or one of several additional prizes – AU$5100 in prizes in all. This new survey commenced on 1 January 2014, replacing all earlier surveys. 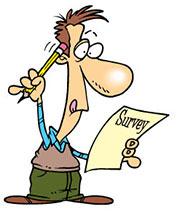 If you have already done the survey (between 1 and 22 January) you will be in the draw anyway. the Unlock the Past cruises email newsletter list is different from the general Unlock the Past email newsletter list. It will be used only occasionally to announce new cruises or significant cruise developments – probably about six to eight a year. The prize draw will be made on Wednesday 14 May 2014. Winners will be advised personally and announced in a cruises newsletter soon after.